Love the bracelet! I like that wood look in jewelry. Goes well with the turquoise face too. Thanks Soya! I’m totally digging wood accessories right now! Its so beautiful – I’m in love! All of their watches are gorgeous! Love the contrast between the wood/metal and hex/circle, yet how simple it still is:) Thanks for the inspiration! This is a gorgeous watch! Love the bracelet too! Thanks Cara! Isn’t the watch beautiful? I love it! How creative of you! I love how the bracelet and watch complement each other so well :). Thank you Tabitha, I’m glad you like it! That looks really cool ! I love that style so definetly try it match something like that with my watch ! Love the natural look of the bracelet! Goes great with all my fall outfit colors! Yes! It would go great with fall outfits! Love the simplicity of this. And those wooden beads are a beautiful colour. Looks beautiful! 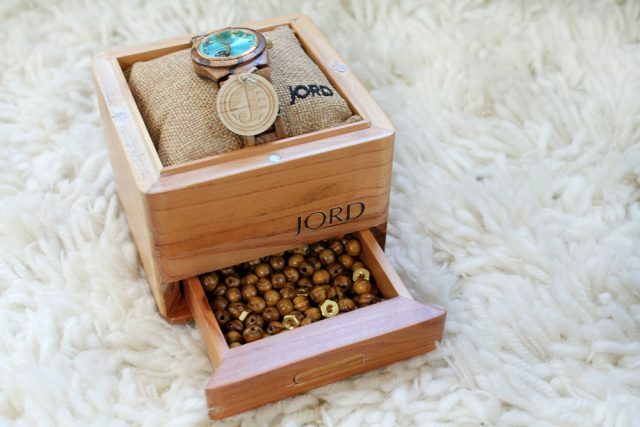 I love the JORD watch! Isn’t the watch great? I hope you entered the giveaway! The bracelet is gorgeous, I love the tones. Thanks Julie! Isn’t the watch great? Wow! Something gorgeous and simple! I feel I can replicate this and it is not overwhelming. I love how rich the wood looks. You should definitely try it. It is so easy! Thank you Jennifer :) I’m so glad you like it. All of JORD’s watches are beautiful! Thanks Whitney :) Industrial chic…love it! I have never heard of Jord Watches before. That is a very nice and unusual watch. My guess is that you get a lot of compliments on it. 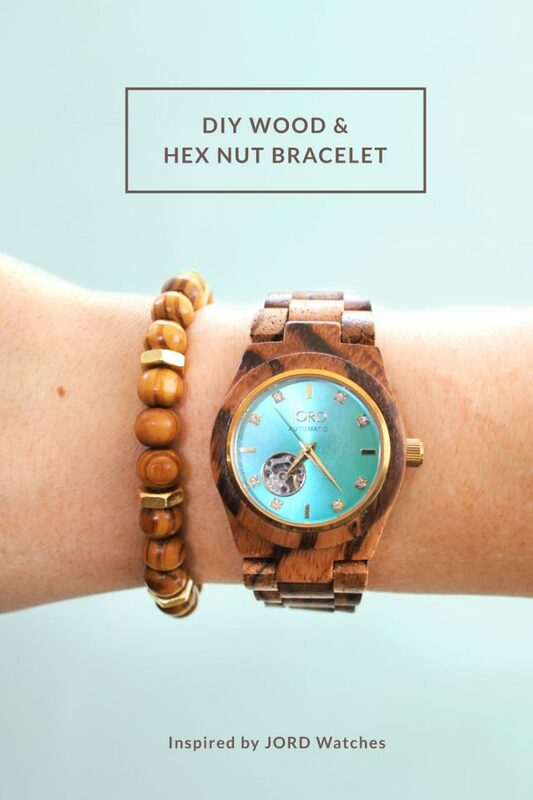 That watch is beautiful, and the DIY bracelet is a perfect complement! I figured it was part of an expensive matched set, so I was pleasantly surprised to see it was an at home project. Thank you for sharing! Love the new JORD watches! These are so brilliant! I have a couple of their watches and need more! I think you do need more! Good luck in the giveaway! Very different pieces. 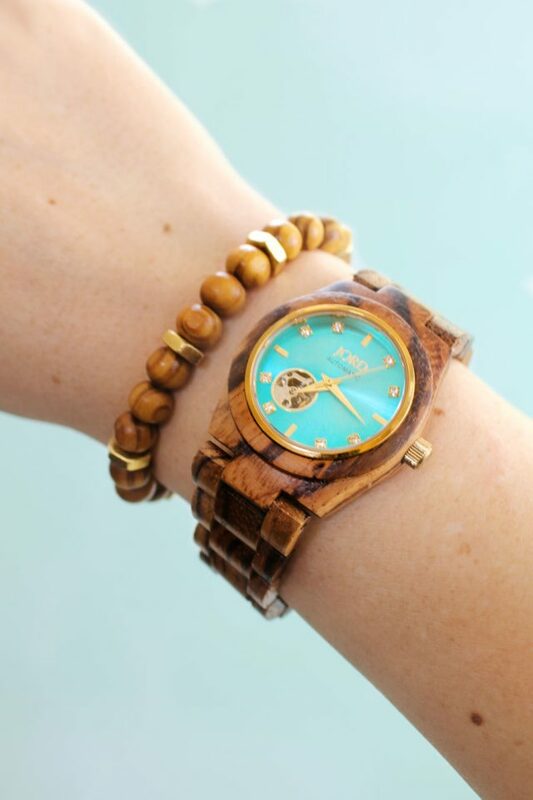 Love the wood look and turquoise is my favorite color! 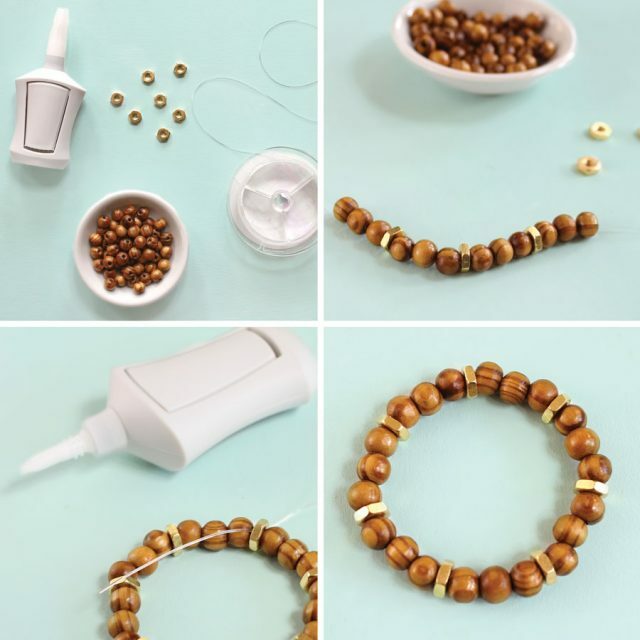 Your DIY bracelet is beautiful! I really love it, it’s very creative. It also matched the turquoise watch. It’s by the way one of my favorite color. What a unique watch! Love your bracelet! Too cute! JORD watches really stand out don’t they? The styling for this shoot is A+, and that bracelet is adorable but not too over the top! Thanks Jes, I’m so glad you like it!